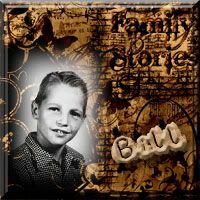 Family Stories: He Had Me at "Detective"
He Had Me at "Detective"
So What's Your Magical Number? I was officially employed at the age of eight. I mean, really employed ~ not "pick-up your clothes, make your bed, brush your teeth, and here's your 2 bucks", but an honest-to-God job. Considering child labor laws, how was this possible, you ask? Well, when you work for your parents, they don't apply. My dad had a kind of all-around truck and trailer business ~ the eighteen-wheeler kind. No, he wasn't a truck driver, nor did he own a trucking company [which I get that a lot], but he had a mechanic's shop that did, well, what a mechanic's shop does. In addition, he had a paint and body shop, a frame machine that could bend a trailer's frame back into position after a wreck, sold truck & trailer parts, sold new and used trailers, and sold used heavy-duty trucks. Like I said, it was an all-around truck and trailer business that, in it's heyday, did very well. I guess eight was the magical number that my dad decided was the perfect age to bring his little girl into the family biz, so to speak. So, what was my job title? I was the official "heavy-duty truck and trailer parts inventory clerk" [and "do whatever else your dad and your older brother tell you to do"]. In other words, my job every summer was to count big, greasy, and sometimes unidentifiable parts. Most of the parts were identified with parts numbers and other important data that I was to mark down along with the count. The ones that weren't labeled, I was supposed to mark with a round neon-colored sticker for someone else to problem-solve. I even had my own official clipboard. I started out at 10 bucks a week, and that was my magical number to get the job done. Each summer my dad added a little more to my duties [of course], but he upped my pay as well. By this time, though, I was working for my mom at her pet shop [a story for another time], but I was given "time off" to help dad with inventory. After I would complete a particular section I was taught to enter the data into the computer [remember those old green-screened IBM monsters?]. When I came upon an item that didn't have a part number, instead of leaving it for someone else to solve, my dad showed me how to figure out the manufacturer, look it up by picture in the gazillion catalogs he had, and obtain the information to enter into the computer. [O.K., can I just pause and say that, just now, all that was easier to explain and type than to do?] When my dad first explained it to me, he said, "Caroline, it's like you're a detective and you're trying to solve a mystery. Keep looking. You can find it. Solve the mystery." Well being an avid Nancy Drew and Trixie Belden fan [which he very well knew], he had me at, "detective". I find it ironic now that the man who taught to me how to problem solve [and so many other things] was the same man who asked me in high school to "do" our family tree and is the same man whose family has 5 related unsolved murders that, to the best of my knowledge, he thought were deaths ~ not murders. While growing up, I had heard several times from my mom that my Paw Paw's [my dad's mom's] brother had been killed in a house fire trying to save his four children. Then, when I interviewed my Paw Paw for my family tree project my senior year in high school, I remember her telling me that very same story. She, of course, gave me his name for the tree, but she didn't volunteer anymore information, my mother didn't know anything else, and I never asked anymore about it. That is, until now. 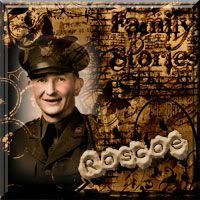 So, I searched on Ancestry.com with all of Roscoe's pertinent information, and I got 2 positive hits [at least as far as I had looked]. I quickly found and read the first article, and yes, there was a house fire; and yes, Roscoe and all 4 of his children perished in that fire in the summer of 1957; but the investigators had determined that it was arson. My heart dropped into my stomach at reading that, but I think my heart actually stopped beating for just a second as I read that Roscoe's wife and two men that they knew had been in the home for some time before the fire started [meaning that evening], and that Roscoe's wife and one of the men had got out unscathed. And the other man? He'd been sleeping in his car located on their street. Oookay, these details were a bit suspicious, but what convinced the investigators that it was arson? Well, I think the empty 5-gallon gasoline can located right outside the house and the two rooms in the house that had gasoline poured in them were pretty convincing. I thought at the time, "Oh my God. Someone needs to solve those murders." [Duh.] Then a couple of weeks ago as I was fixing Roscoe's photo and creating a design for it to share with y'all for a Wordless Wednesday post, I started thinking about him and his children, and how unfair it was that their lives were taken. Four beautiful children. [Don't you think?] It also got me to thinking how unfair it was that these murders may have never been solved, to the best of my knowledge. Why hadn't , my Paw Paw known, or if she had, why didn't she say anything? Had it been too painful? Thankfully she had their photos and identified them...for me. I was thinking again that someone needed to look into this, and I was beginning to think that "someone" was me. After all, when someone murdered Roscoe, his three boys, and his little girl, they ended the Martin surname, at least as far as my great-grandfather's line is concerned. So, I've decided to "own" this one. I mean, technically speaking their family story ended when they died in that house fire, but for me, that's an unacceptable ending. After all, my middle name is Martin, so actually their story kind of "owns" me, and if not the person who solely carries the name in my great-grandfather's line, then who? I've decided to make this ongoing investigation a series of posts. This means that as I research, I will be posting at least once a week with updates ~ kind of an "in-process, step-by-step" kind of thing. Also, I invite all of your hints, tips, and suggestions. Yup, I'm making it interactive. That is, if you want to interact. 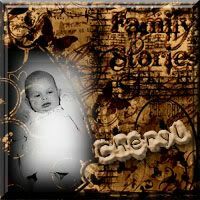 If not, then feel free ~ as always ~ to watch the ending of this family story unfold. So, whaddya' think? 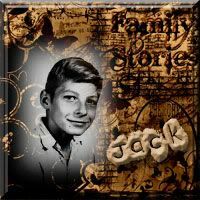 Don't Roscoe, Jack, Bill, Jerry, and little Cheryl Maye deserve to have their family story completed? Don't they deserve to rest in peace? 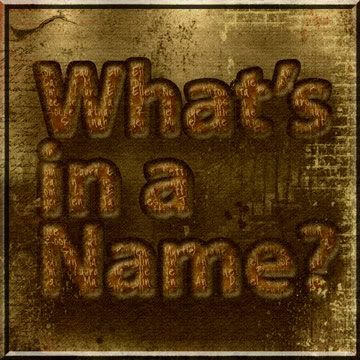 So, "What's in a Name?" Well, in this case, a family mystery. I can almost hear my dad saying, "Caroline, it's like you're a detective and you're trying to solve a mystery. Keep looking. You can find it. Solve the mystery." Texas. Fort Bend County. 1930 U.S. census, population schedule. Digital images. Ancestry.com. http://www.ancestry.com : 2007. Illinois. Williamson County. 1920 U.S. census, population schedule. Digital images. Ancestry.com. http://www.ancestry.com : 2007. Illinois. Johnson County. 1910 U.S. census, population schedule. Digital images. Ancestry.com. http://www.ancestry.com : 2007. United Press, "Probe Deaths of 5 in Fire," The Hammond Times, 16 Jul 1957, p. 5, col. 2; digital images, Ancestry.com (http://www.ancestry.com : 15 Oct 2008), Historical Newspaper Collection. Brown, Ann, Find A Grave (http://findagrave.com/ : accessed 16 Oct 2008), "Martin, Roscoe Benton," Memorial #8494172. Brown, Ann, Find A Grave (http://findagrave.com/ : accessed 16 Oct 2008), "Martin, John "Jack" Winston," Memorial #8494193. Brown, Ann, Find A Grave (http://findagrave.com/ : accessed 16 Oct 2008), "Martin, William "Bill" Lester," Memorial #8494179. Brown, Ann, Find A Grave (http://findagrave.com/ : accessed 16 Oct 2008), "Martin, Jerry Ray," Memorial #8494152. Brown, Ann, Find A Grave (http://findagrave.com/ : accessed 16 Oct 2008), "Martin, Cheryl Maye," Memorial #8494212. Martin, Roscoe Benton. Photograph. ca. 1931. Digital Image. Privately held by Caroline Martin Pointer, [address for private use,] Conroe, Texas. 2008. Martin, John "Jack" Winston. Photograph. ca. 1954. Digital Image. Privately held by Caroline Martin Pointer, [address for private use,] Conroe, Texas. 2008. Martin, William "Bill" Lester. Photograph. ca. 1954. Digital Image. Privately held by Caroline Martin Pointer, [address for private use,] Conroe, Texas. 2008. 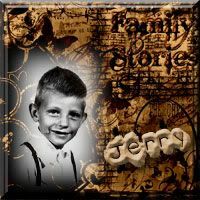 Martin, Jerry Ray. Photograph. ca. 1954. Digital Image. Privately held by Caroline Martin Pointer, [address for private use,] Conroe, Texas. 2008. Martin, Cheryl Maye. Photograph. ca. 1954. Digital Image. Privately held by Caroline Martin Pointer, [address for private use,] Conroe, Texas. 2008. It will be fascinating to hear how you go about this! I look forward to the next update. A quick look, I think I might do it this way. I'll continue to ponder. Thank you! I like your citation better ~ it provides more information. This "art of citation" takes time, and just as a painter is never really done with his/her painting [there is *always* something that could be made better], so it is for the researcher, eh? and Yes Roscoe and family were not only beautiful but did not deserve to have their lives cut short! Hello Caroline. Norma was my grandmother.